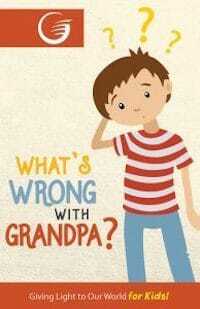 “What’s wrong with Grandpa?” three-year-old Daniel asked his Dad. “Grandpa died,” his father gently told him. While family and friends gathered at the graveside, Grandpa’s casket was lowered into the ground. As family members shoveled dirt into the grave, Daniel grabbed his father’s arm. “Tell them to stop, Daddy!” he said urgently. There are several stories in the Bible about people who died. One such story is about a man who lived in the town of Bethany with his two sisters, Mary and Martha. His name was Lazarus, and he was a close friend of Jesus. While visiting another town, Jesus heard that Lazarus was very sick. Jesus told His disciples that Lazarus had fallen asleep, and He was going to Bethany to wake him. The disciples thought it was very good news. If Lazarus was sleeping, he must be recovering from his illness. But Jesus said to them, “Lazarus is dead” (see John 11:4-5; 11-14). Lazarus had been dead for four days when Jesus and His friends arrived in Bethany. Mary and Martha took Jesus to the place where Lazarus had been buried. Jesus asked that the stone in front of the tomb be rolled away. The people wondered what Jesus was going to do next. They were surprised to hear Jesus call out loudly, “Lazarus, come out!” (John 11:43). They watched in amazement as Lazarus shuffled out of the tomb toward Jesus, still wearing his burial clothes. Jesus had brought Lazarus back to life! According to Jesus, Lazarus was asleep, although he wasn’t dreaming as you might dream at night. The Bible tells us that when people die, their thoughts die (Psalm 146:4), and they “know nothing” (Ecclesiastes 9:5). Psalm 115:17 says, “The dead do not praise the Lord” (NKJV) and describes death as “silence. What a day that will be! People who have been separated by death will see each other again. Children will see parents and grandparents, and parents and grandparents will see children and grandchildren. Brothers and sisters and friends will be reunited. And Daniel will get to see his grandpa!